A few weeks ago, Chinese New Year festivities came to an end, and today I would like to go over one of their most important aspects: food. What do people eat during Chinese New Year and why? This article is an adaptation from a series of articles on Chinese New Year written by Luna Zhou recently published on the webpage EsChina Space (Spanish). Even though many people don’t know this, Chinese New Year festivities start twenty days before Chinese “New Year’s Eve,” that’s to say, on the 8th day of the last month of the lunar calendar. 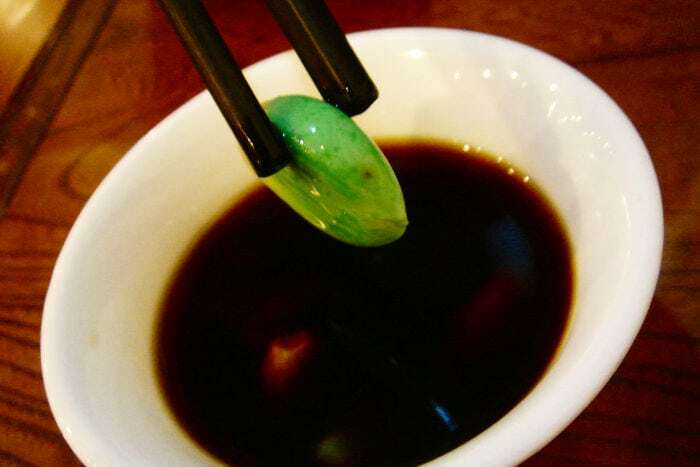 This dish is prepared with hardneck garlic (the ones with purple skin), which is submerged in rice vinegar and a bit of sugar and then left to ferment for twenty days until it becomes a greenish color. 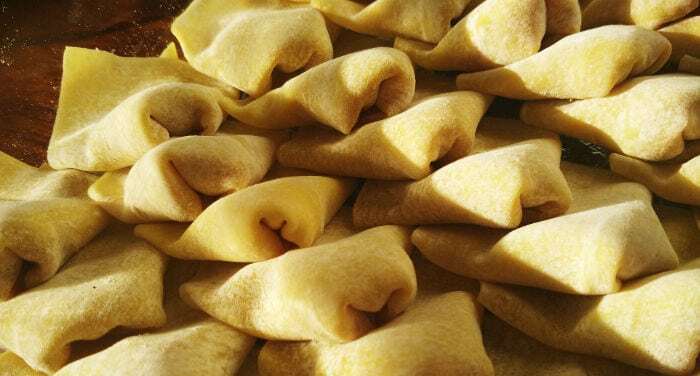 Specifically, the day on which it’s ready (twenty days later) coincides with Chinese “New Year’s Eve” and it is normally eaten with jiaozi (or dumplings). With more than one thousand years of tradition, Laba Zhou is like a porridge with different types of rice, beans and dried fruit. At least eight different types of ingredients must be included (some Chinese families add up to fifteen). Traditionally, Laba Zhou is a symbol to ask for a good harvest in the coming year. This festival is celebrated on the 23rd day of the last month of the lunar calendar and for many people is the official beginning of the new year. The name of the festival comes from 祭灶 (jìzào), where 祭 (jì) means worship and 灶 (zào) means stove (in ancient China people used them to cook). In other words, the festival means worshiping cooking and is dedicated to the god Zaowang, who was sent by the supreme god Yudi to earth to teach families to use fire to cook. Once a year (the day of the Jizao festival), Zaowang returns to heaven to tell Yudi how the families have behaved. 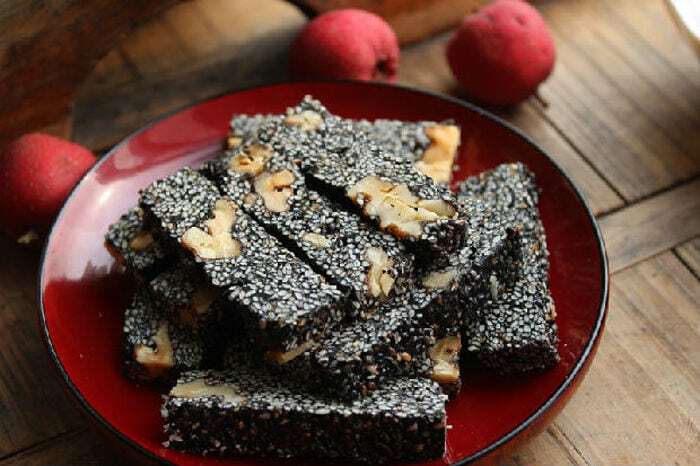 During this festival, sweets made out of sugar mixture with a layer of sesame paste and covered with sesame seeds and nuts are eaten. Tradition has it that these sweets are made so that Zaowang’s mouth becomes sticky and he can’t say bad things about the family to the supreme god. Jiaozi are an essential part of any worthwhile New Year’s Eve dinner. They are normally hand-made and then boiled, steamed or fried depending on the family and the region in China. The reason is simple, as 饺子 has a pronunciation very similar to that of 交子 (jiaozi), which means change in year. Chicken is also a good omen, as 鸡 has a pronunciation very similar to that of 吉 (ji), which means good luck. Fish is once again a symbol of good intentions for the new year, as 鱼 has a pronunciation similar to that of 余 (yu), which means abundance; that’s to say, a request that in the new year that nothing will be lacking. There are many other dishes which also represent good intentions for the new year depending on the region in China, such as, for example, new year’s cake (niangao 年糕), but if I listed them here, I would never finish. Huamo are steamed buns similar to mantou (馒头) but which have varied shapes (like flowers or animals). Normally, one is made for each family member. One of them will contain a nut and according to tradition, the family member who eats the bun with the nut will become the head of the family. The Yuanxiao Festival, better known as the Lantern Festival, is celebrated on the first full moon of the year, that’s to say, the fifteenth day of the first lunar month. For the majority of Chinese people, Yuanxiao is the last day of New Year’s festivities. 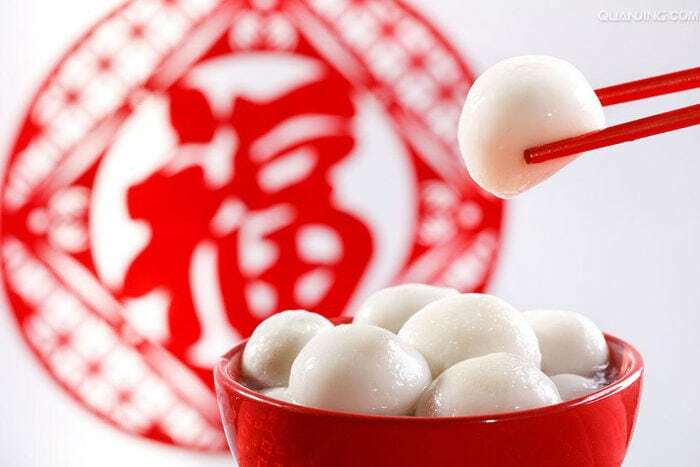 Tangyuan or Yuanxiao (元宵) are sticky rice balls which can have a salty (meat) or sweet filling and which are boiled. Tangyuan are a symbol of family, harmony and happiness. That’s all for today; I hope you found it interesting! Note: China is very diverse and because of this, New Year’s food varies greatly from place to place. This article is based on the customs of the northern part.